In the run up to Christmas 2017, expedition sponsor Shaw and Partners Wealth Management had their annual client night. It was spectacular!! They took over the Art Gallery of NSW for their 1,100 guests. While sipping our drinks and nibbling on the amazing food prepared by Matt Moran, we got to hear from David Murray AO. David is the ex-CEO of Commonwealth Bank and inaugural Chairman of the Australian Government Future Fund Board of Guardians. Earl Evans, Shaw and Partners CEO, very kindly named CARE Australia as the charity for the night. 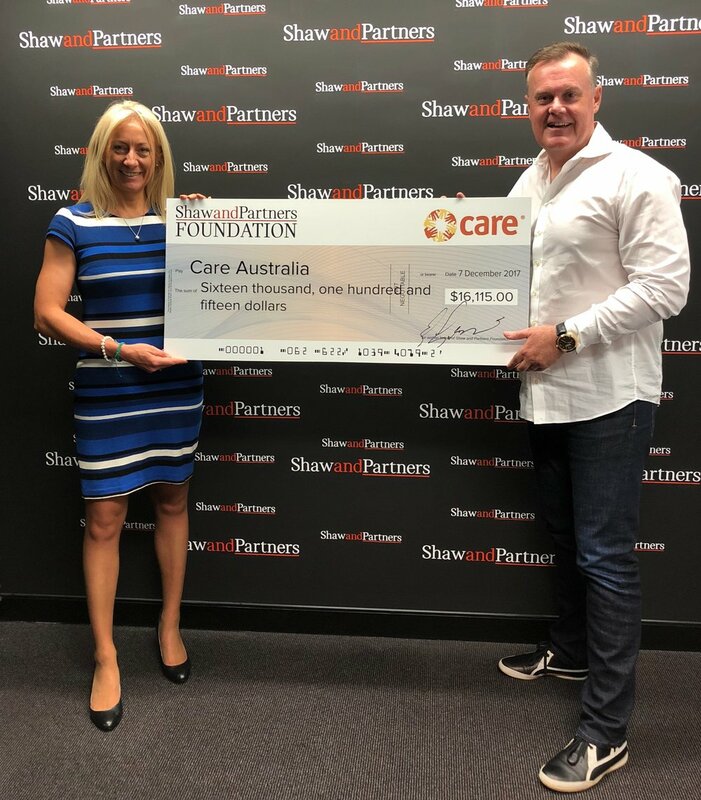 The money raised in the raffle was generously matched by the Shaw and Partners Foundation. I was also invited to speak to everyone there, to introduce my expedition and CARE Australia. The total money raised...drum roll please...a whopping A$16,115! On top of that, with everyone who has donated along with the fundraiser we had in October, the grand total so far is A$25,000! Amazing - already a quarter of the way to my A$100,000 goal!! A huge thank you to everyone who has donated. Your generosity REALLY does make a difference. Nearly 90% of the money raised goes directly to fund programs. Plus 9% is invested for the future. They don't have heavy administrative costs. Thanks to your support, in their last financial year, CARE Australia helped improve the lives of more than 2.4 million people in 24 countries across Asia, the Middle East and Africa. Over $53 million was spent on international programs, bringing millions of people out of poverty and creating a more equal world. Please jump on their website to see the work they have underway. If you'd like to donate, under the 'Donate' menu here you'll be taken to the donation portal to allow a direct (tax deductible) donation to CARE Australia.